Police in Mississippi fatally shot a man while trying to serve an arrest warrant at the wrong address, according to a lawyer for the victim’s family. 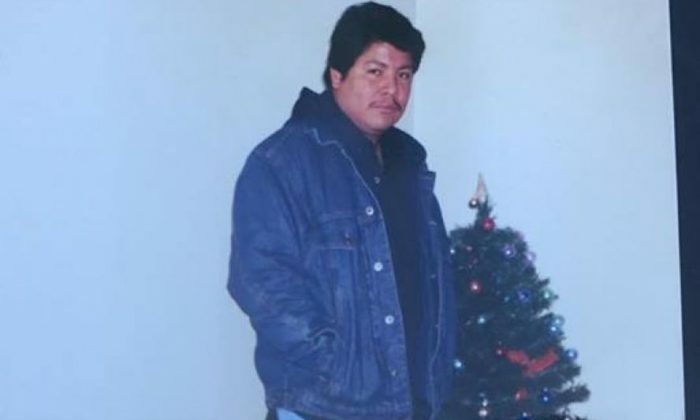 Ismael Lopez, 41, was slain by police who were there to arrest his neighbor, Samuel Pearman, on domestic abuse charges on Sunday, NBC News reported. DeSoto County prosecutor John Champion, however, said that an officer fired several shots after a pit bull ran out, the Clarion-Ledger reported. Lopez, according to Champion, was also holding a gun. Murray Wells, the Lopez family’s attorney, told NBC that Lopez lived just feet away from Pearman. The addresses of both homes were both clearly displayed, he said. According to WREG, police said that they were forced to shoot Lopez when he opened his door and his pit bull emerged. But Lopez’s wife disputes that claim, saying that police fired shots through a closed door, and Lopez never picked up his firearm. “She said when he got up, she heard the footsteps all the way up to the door, she heard the doorknob turn, and then after the doorknob turned it was just gunshots from there,” Jordan Castillo, speaking on behalf of the Lopez family, told the Commercial Appeal. Wells shared a photo of a door with numerous bullet holes.